Did you know your choice of tires can impact your vehicle’s fuel efficiency? When it comes to protecting both your wallet and the environment, manufacturers of hybrid and alternative-fuel vehicles have made a lot of progress. In recent years, tire manufacturers have been making advances too – engineering tires that squeeze out better mileage. Today, most drivers can benefit from the growing range of fuel-efficient tire options available at many retailers. Newton’s third law of motion states that a more aerodynamic car will move through the air more efficiently by reducing energy-losing drag as much as possible. A similar force comes into play when different components of your tire flex and squirm under the weight of a moving vehicle. This results in another kind of energy loss known as “rolling resistance”. 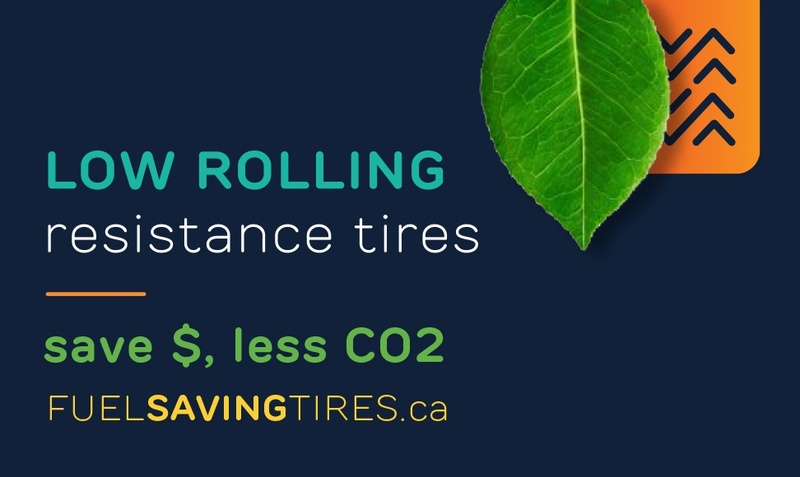 Your vehicle loses fuel efficiency when it creates rolling resistance, so finding the right tire for your vehicle can have a big impact on your wallet, and can play a role in reducing your environmental footprint. As shown below, by modifying factors such as tread patterns, rubber compounds and tire construction, manufacturers have lowered rolling resistance by 10 to 20 per cent through advanced technologies. This can earn you a 2 to 4 per cent improvement in fuel efficiency under normal driving conditions. This means that if you spend $2,600 annually on fuel, like the average Canadian household, you can save $100 every year. Choosing a set of fuel-efficient tires is a simple way to help your wallet and the environment at the same time. Tire manufacturers offer different tire options to increase fuel efficiency for a wide range of vehicles. 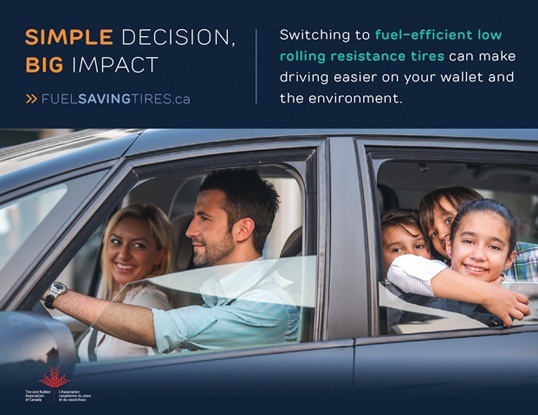 The Tire and Rubber Association of Canada has developed a handy Fuel Saving Tires Buying Guide to help you navigate the growing number of makes and models available today. Remember, your road to more savings and a greener planet doesn’t stop at the cash register. As with all tires, factors like driving habits, driving conditions and proper maintenance will affect the kind of savings you’ll achieve. For example, a 2009 study of Canadian motorists found that nearly 25 per cent of passenger vehicles sampled have at least one under-inflated tire. A tire under-inflated by around 20 per cent can reduce a tire’s life by 15,000 km and increase fuel consumption by 4 per cent. Subscribe to the BTS Blog to boost your motoring IQ with tire care and shopping tips from Be Tire Smart Canada. Is It Safe to Buy Used Tires?